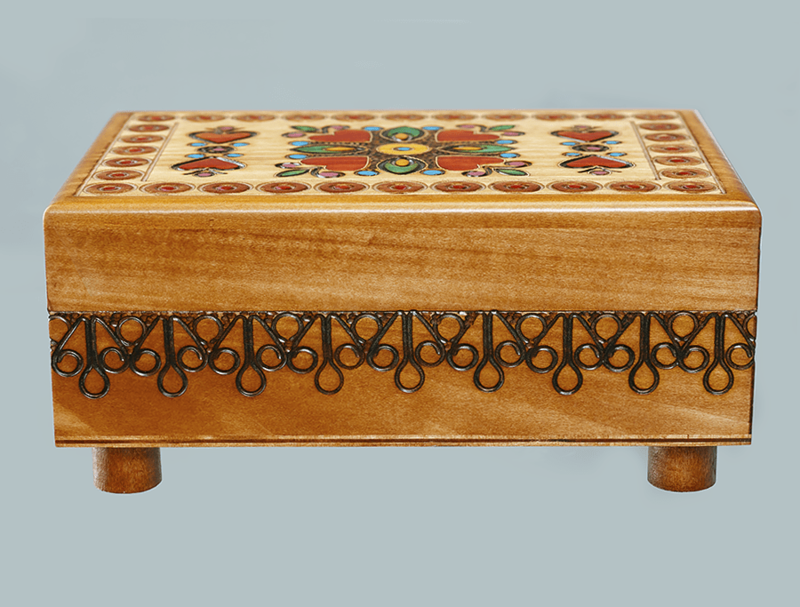 Front-Side View of M-69 Puzzle Box, Showcasing Side Details & Secret Twisting Legs. 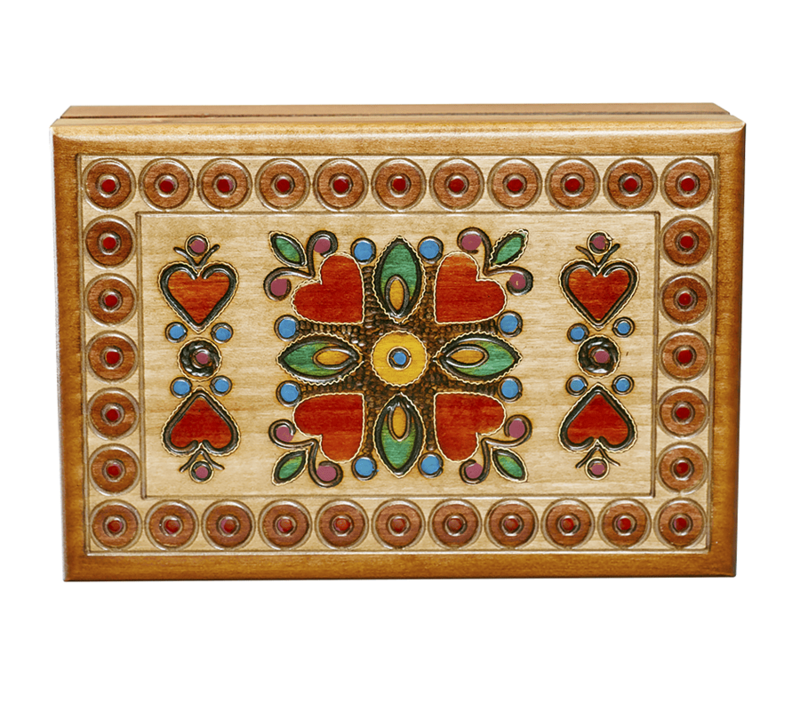 Modified traditional design by EWB, features 6 hearts, circular patterned border, waved brass inlay and a lot of cute & colorful decorative elements. 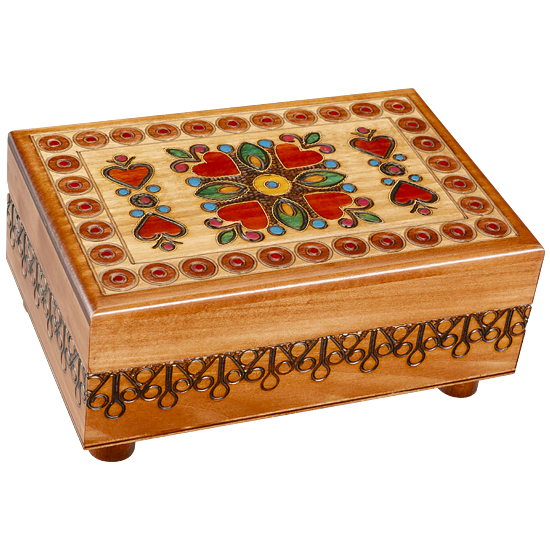 A wooden puzzle box, the left and right front facing peg feet twist to open & unlock.